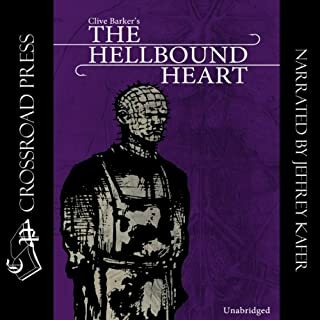 The Scarlet Gospels takes listeners back many years to the early days of two of Barker's most iconic characters in a battle of good and evil as old as time: The long-beleaguered detective Harry D'Amour, investigator of all supernatural, magical, and malevolent crimes, faces off against his formidable and intensely evil rival, Pinhead, the priest of hell. 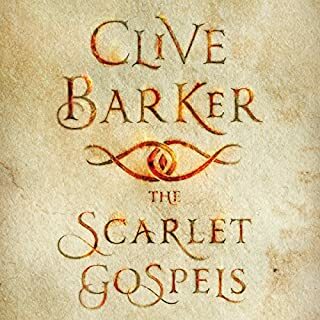 Barker devotees have been waiting for The Scarlet Gospels with baited breath for years, and it's everything they've begged for and more. Hollywood has made a star of Todd Pickett. But time is catching up with him. After plastic surgery goes awry, Todd needs somewhere to hide away for a few months while his scars heal. As Todd settles into a mansion in Coldheart Canyon - a corner of the city so secret it doesn't even appear on a map - Tammy Lauper, the president of his fan club, comes to the City of Angels determined to solve the mystery of Todd's disappearance. It begins in the most boring place in the world: Chickentown, U.S.A. There lives Candy Quackenbush, her heart bursting for some clue as to what her future might hold. When the answer comes, it's not one she expects. Out of nowhere comes a wave, and Candy, led by a man called John Mischief (whose brothers live on the horns on his head), leaps into the surging waters and is carried away. 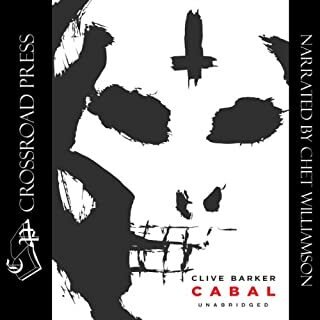 Never one to shy away from the unimaginable or the unspeakable, Clive Barker breathes life into our deepest, darkest nightmares, creating visions that are at once terrifying, tender, and witty. 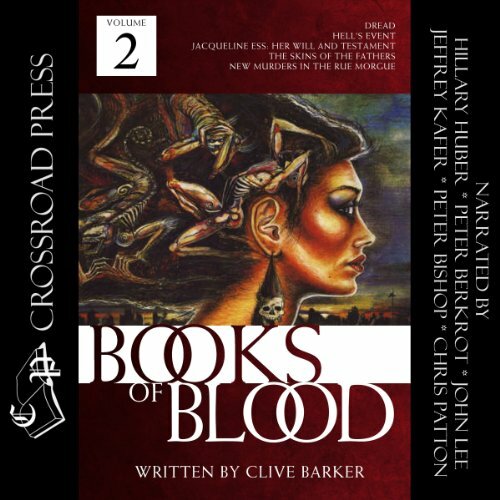 The Books of Blood confirm what horror fans everywhere have known for a long time: We will be hearing from Clive Barker for many years to come. Good performance... wildly imaginative writing. 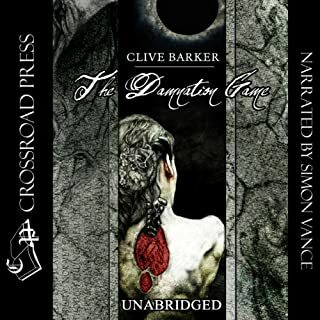 i wish clive barker would do more like these three volumes. Who was the most memorable character of The Books of Blood, Volume 2 and why? 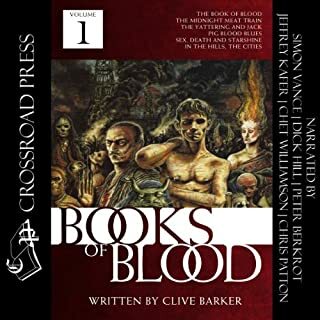 The Books Of Blood are a compendium of stories that are macabre and some pretty bloody.They twist and turn and make you think,or sick depending on the story.Each were told by someone new.Jeffery Kafer stands out in this series as an excellent narrator,along with quite a few others. I was gifted a copy through Audioblast for an honest review. Would you listen to The Books of Blood, Volume 2 again? Why? Of course, and I have done. That there are many stories, each one different. Yeah, though it is best not to. I'd do it in smaller sittings, savouring each story. Where does The Books of Blood, Volume 2 rank among all the audiobooks you’ve listened to so far? 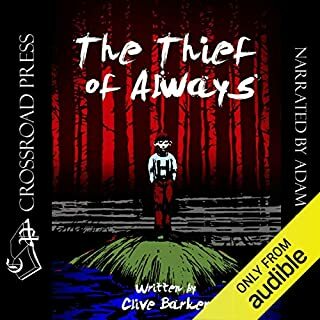 Very high these books are legendary among horror enthusiast "Clive Barker" wrights in prose the put the rest of the modern horror writers to shame.